While many companies offer mold removal services in Atlanta, Georgia, many of them simply offer those services on the side while focusing mostly on their main line of work. These companies may only spend a small fraction of their working hours identifying and removing mold. On the other hand, mold specialists that focus solely on treating mold will have far greater experience, so they are certainly the professionals you want to call if you have a mold problem in your home or business. True mold specialists will have the expertise needed to identify all the places where mold could grow, even if it exists in hidden areas, such as behind drywall. 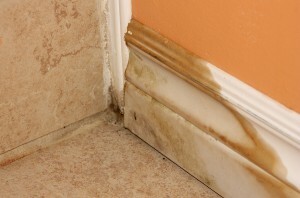 They will also know how to remove mold in the most efficient manner possible, using the right combination of mold removal tools – including water extraction equipment, air scrubbers, fungicides, and mold-resistant coatings – to rid your home or business in Atlanta, GA, of the mold problem that you face. If you’re looking for a mold removal specialist who has a reputation for effectively removing and preventing mold growth, trust Abatement Solutions, Inc. We are the mold remediation company of choice for realtors, residential and commercial property owners, and property management companies alike. We have such confidence in our mold removal services that after we’ve treated an indoor space that people occupy, we’ll have a third party inspector test the air to prove we’ve made the space safe for inhabitants. For more information on the mold remediation services we offer in Atlanta, GA, contact Abatement Solutions, Inc. today.